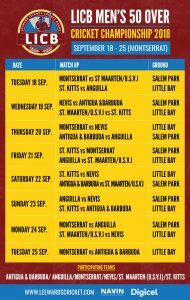 The Leeward Islands Senior Cricket Team Men’s 50-Over Cricket Championship, announced by L Is Drector, Cricket Operations in July is set to start on Tuesday, September 18, 2018 in Montserrat. 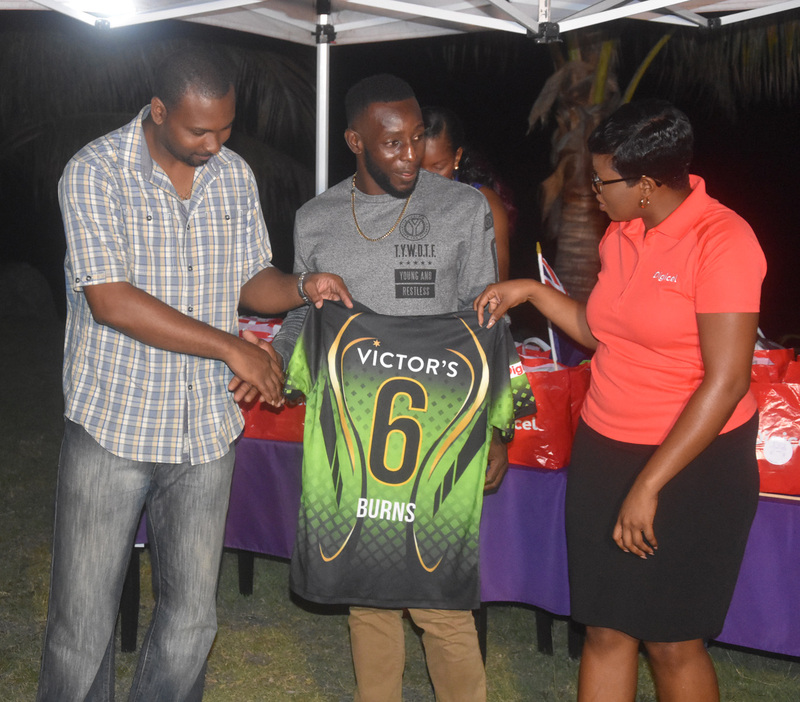 On Wednesday evening, September 12, 2018 the Montserrat Senior Cricket Team unveiled it’s Uniform Launch for the Cricket Championship at Summer Breeze at 8.00 p.m. This function was hailed as a very welcome and special one, with Premier Romeo, Minister of Sports Delmaude Ryan along with Communications and Works Minister Paul Lewis each giving brief remarks on the occasion. 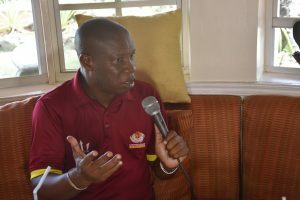 The tournament was due to begin on Friday 14th, but due to the passage of hurricane Isaac and the the burial services of a former Montserrat opening batsman, and former Chief Minister Bertrand B. Osborne and other related circumstances, such as transportation into Montserrat of the other five competing teams, the beginning of the tournament was set to a Tuesday start. 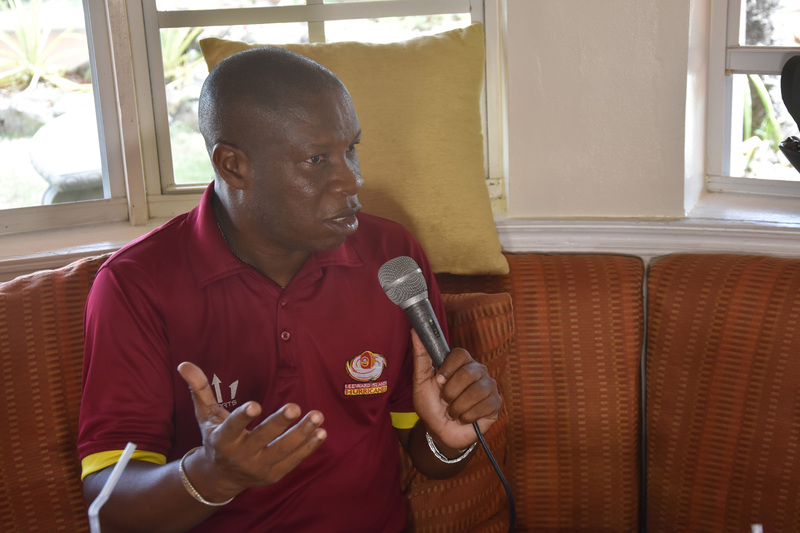 Already the championship organisers are thanking Digicel for Partnering with the Leeward Islands Cricket Board to help execute this major project and to sell to the world that Montserrat is open for Business. At the uniform unveiling, some other support sponsors were acknowledged. These supporting sponsors are: Digicel, Rovika, Victor’s, Montserrat Bottling Company, Amsa Sports and Summer Breeze. 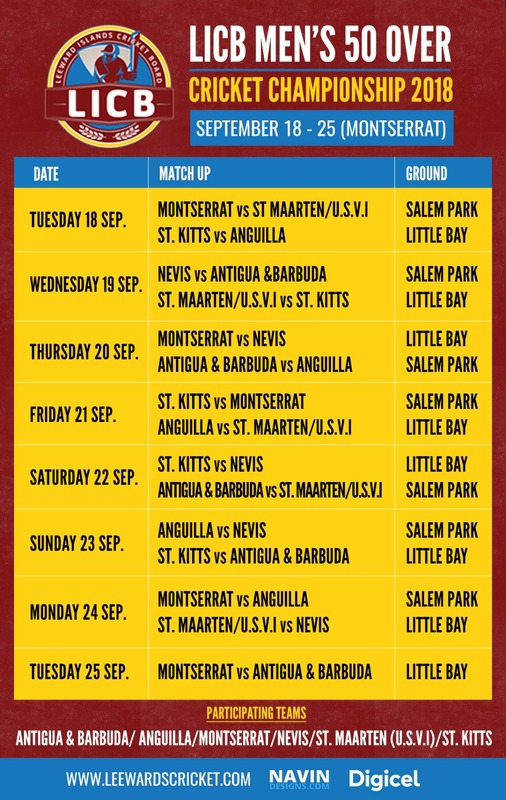 Following are the names of the Montserrat 16-man squad.